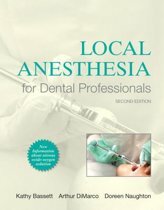 A practical, how-to guide to safe anesthesia practices in dentistry, Handbook of Local Anesthesia, 6th Edition covers all the latest advances in science, instrumentation, and pain control techniques. 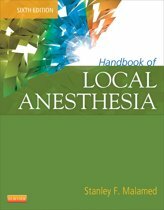 From basic concepts to specific injection techniques, from dosage charts to the proper care and handling of equipment, this book provides in-depth, full-color coverage of key anesthesia topics, including specific hazards and errors in technique that may result in complications. 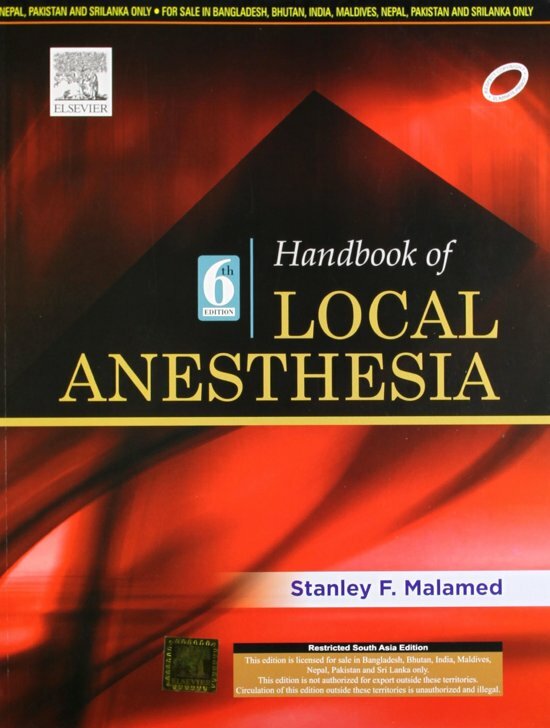 Written by Dr. Stanley Malamed, dentistry's leading expert on this subject, Handbook of Local Anesthesia is a valuable reference that will help you prevent, recognize, and manage complications of local anesthesia administration. Videos on an available companion DVD (sold separately) are narrated by Dr. Stanley Malamed, covering topics such as local anesthetic agents, anesthetic injection techniques, potential complications, and risk management. Full-color photographs and line drawings are included throughout the book. 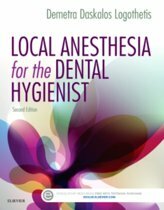 In-depth discussions cover the anesthetic agents used in dentistry, along with their clinical actions. Routes of administration are described for all anesthetics. The proper care and handling of equipment is addressed, along with the problems that may be encountered. Requirements for pain control and local anesthesia within various dental specialties are included. Comprehensive information on Articaine is included, a local anesthetic that is gaining widespread use in the United States. Numerous boxes and tables provide a quick reference and comparison of techniques, drugs, and dosages. 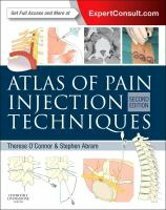 Dosage charts, injection techniques, information on duration of action, and contraindications for local anesthetics are included at the end of the book for quick reference.